It's getting all spring like and so I've been thinking about bees. 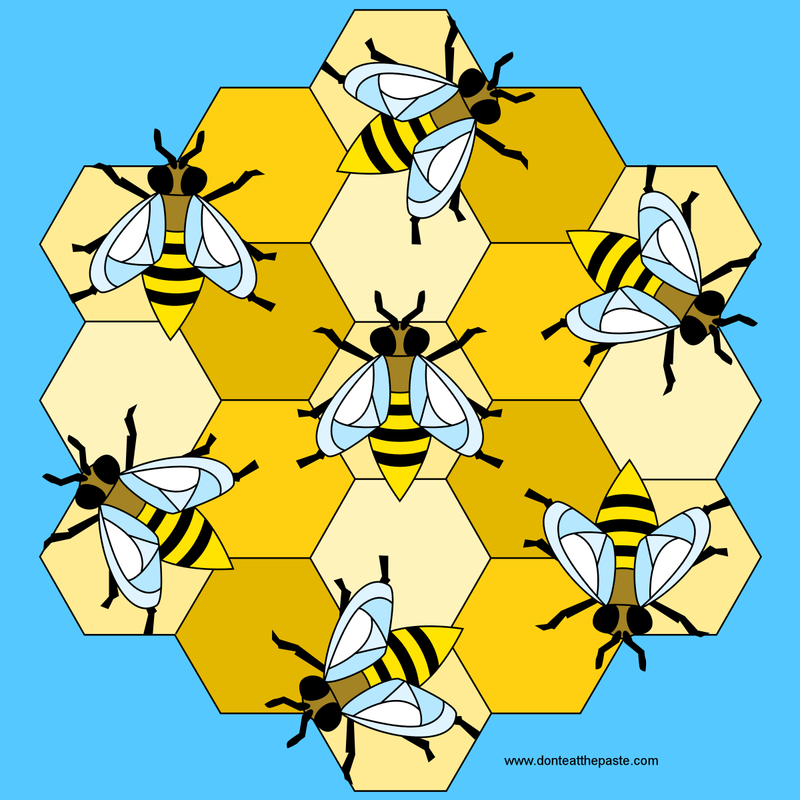 I'm planning to use a variation of this design in the bee contest coming up soon on Spoonflower! 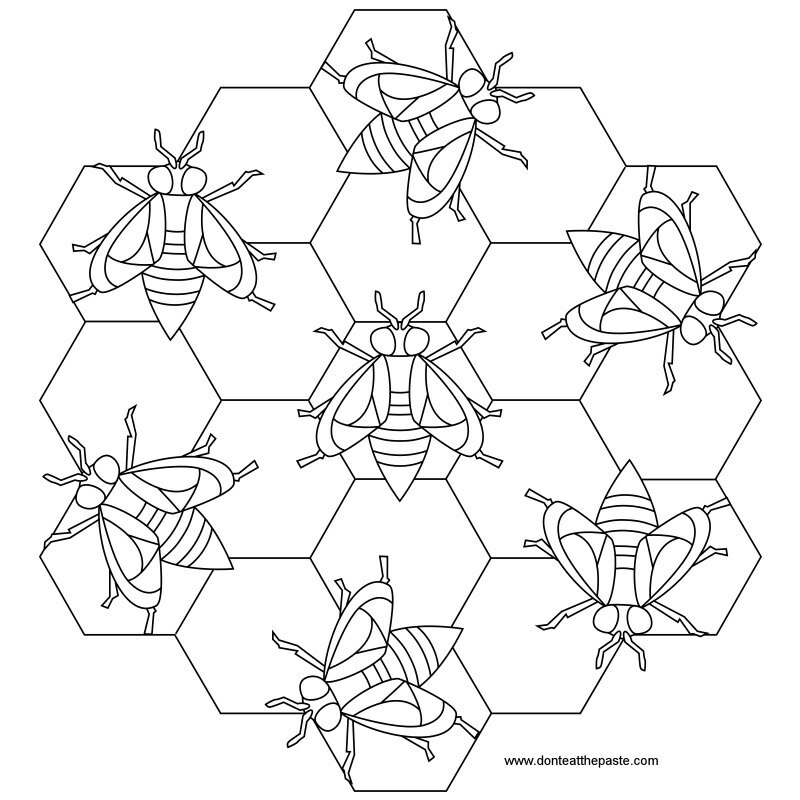 Print and color this bee mandala. Click on the small versions below for larger versions.